Accompanied by a professional instructor with thousands of jumps behind him, you can enjoy one of the most memorable moments of a lifetime. After a short briefing about the exit from the aircraft, control in freefall and the landing, you will take off for a 15 minute flight to 12.500 feet: Securely attached to a qualified instructor, you will jump and taste 1 minute of amazing freefall at 200 km/h!! After the instructor opens the parachute at 4.000 ft, by no means has the experience ended. 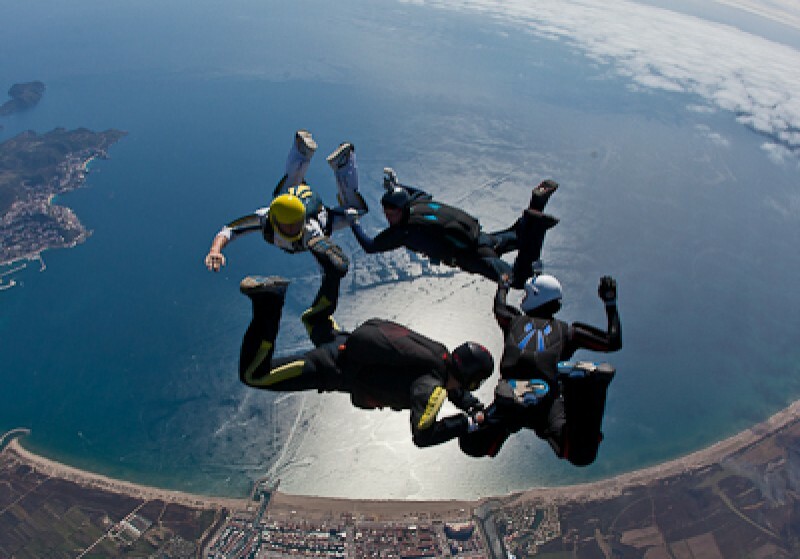 You can then enjoy 5 minutes of flight over Empuriabrava and the Bay of Roses. The final landing is made in the same area that you took off from where your friends and family will be waiting to receive you.